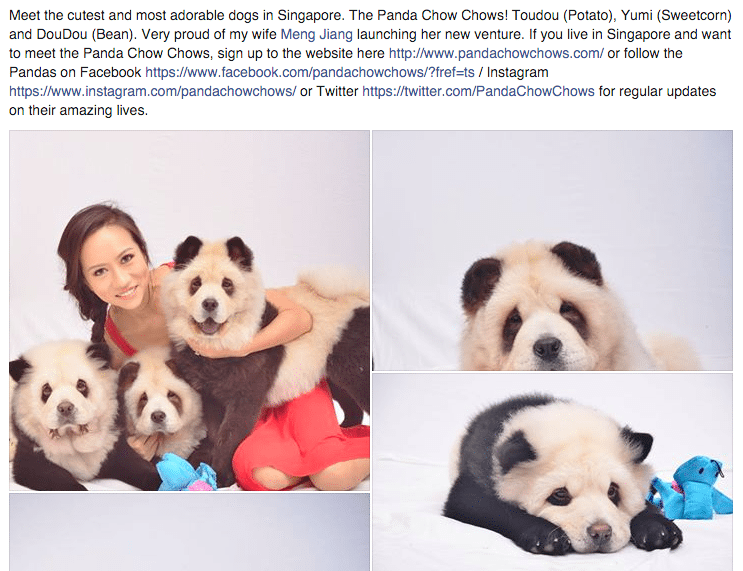 CHOWCHOW PANDA-MONIUM – HUMANITY #FTW! It got people so worked up, they called for expert advice, they went as far as to dig out what would “Dog Whisperer” Caesar Milan say about dyed fur, they got SPCA to comment. Everyone did what they do best. We made some noise. Some went as far as to crawl out of their woodwork to pen well-researched letters against it. This one by Stella Thng – an excellent writer, and a chowchow owner, and a person who’s been attacked by a chowchow – really got us good. Read the rest of the comments. So proud of you Singapore, for not giving up. Today, the original post is no longer available. We will monitor and do our best to update you on what happens next, but this is a great first step as one people, linked by a shared humanity – NOT polarity. Which means 2 camps must form. This kind of stuff don’t have to. 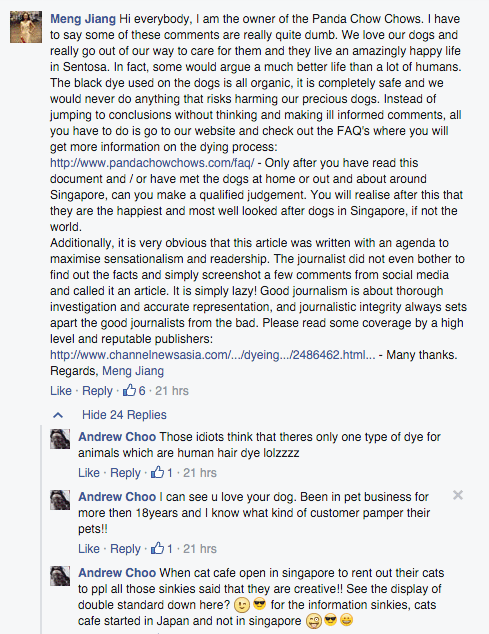 Good Job, netizens of Singapore. This is proof that when we pull ourselves together, we can overcome obstacles.